I’m currently still using my 2014-2015 Agenda for my Blog and YouTube planning. I like to use the monthly pages to help plan out posts and videos! 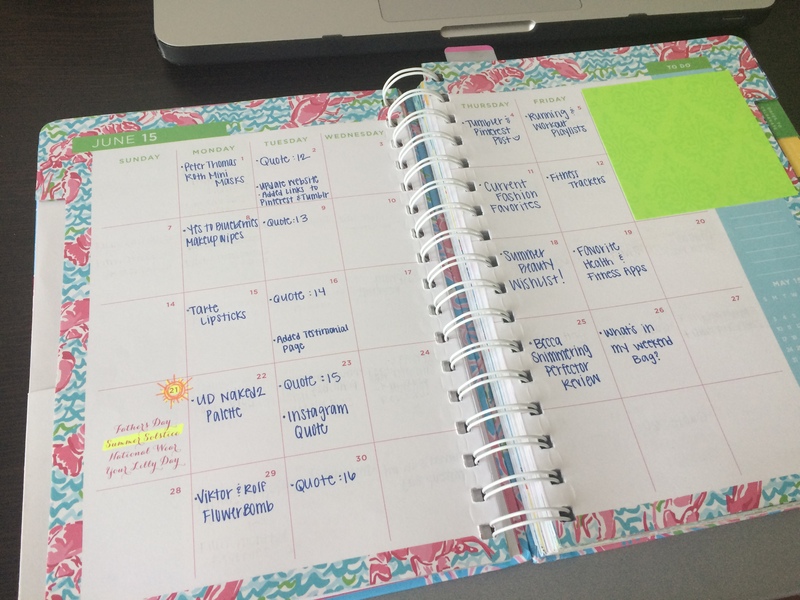 I like to keep this separate from my regular planner that why I can focus on my school work without getting distracted by my blog. 🙂 I also keep a post-it off to the side where I’ll take notes or list new ideas! 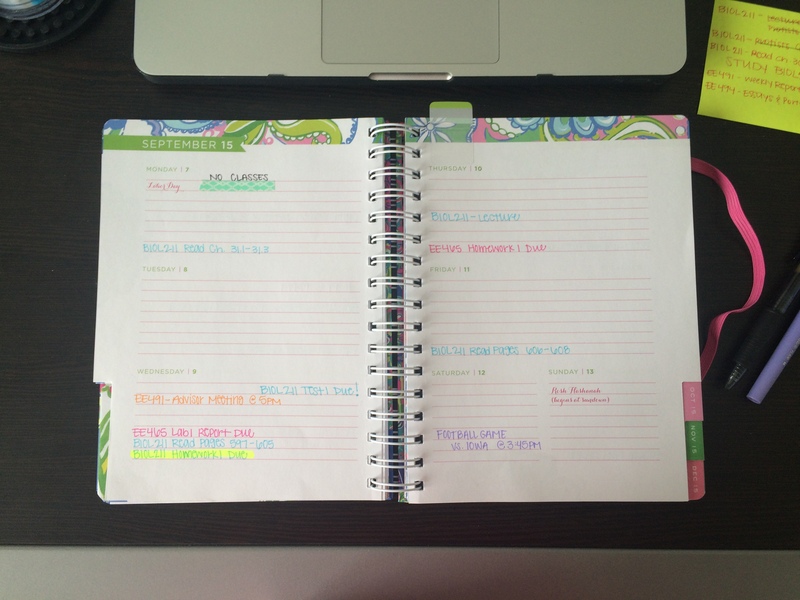 In my newer 2015-2016 Lilly Pulitzer Agenda I have a system that helps keep me organized. Every class has it’s own color. Anything related to a course will be written in it’s assigned color. For example, my online Biology course is light blue. 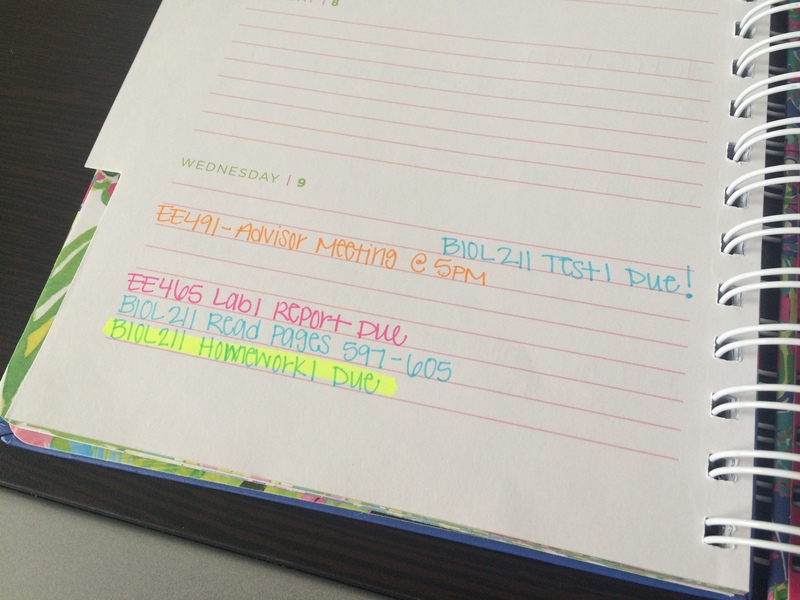 Any lectures, readings, or exams that I need to complete are written in light blue. Once any given assignment is completed I highlight it! Also, different activities and events are in different colors as well! In addition to the colors, I always write my assignments at the bottom of the day they are due. Any exams or quizzes are written in the top right corner and meetings or events are written near the middle. I also use some washi tape if there are big events happening! 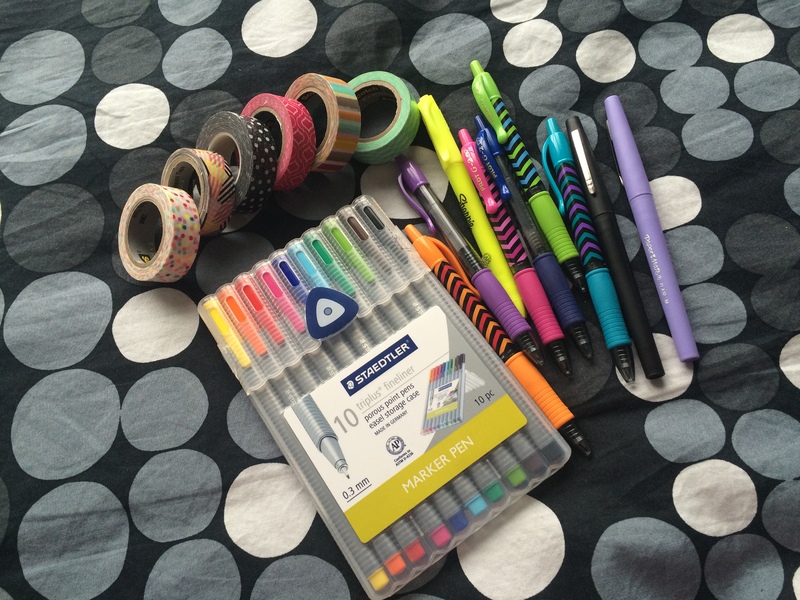 Below are the pens and washi tape I use to organize my planner! What is your favorite planner?